The Jones Women’s Flagship is a women’s specific version of the very stiff aggressive men’s Flagship. Before 2015 it was called the Mothership but now called the Women’s Flagship and it’s a slightly softer, smaller version of the Men’s Flagship. The 2017-2019 Jones Women’s Flagship is made out of SWS and works well for those that like to point it but also want a more forgiving ride than you would think for it’s flex. 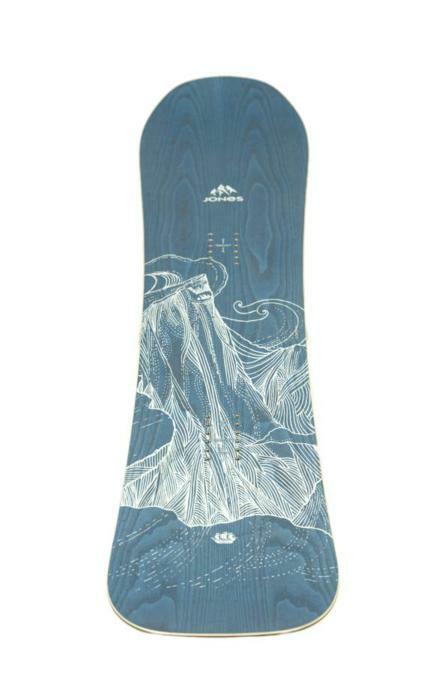 This is a great powder/freeride board and it’s a long-awaited extra option to complement the very small selection of women’s freeride boards out there. It’s not for the faint of heart and it’s made for advanced to expert women that want to ride fast and very hard. The quality of the 2013 line is much better than 2012. Conditions: 1-2 feet of powder one day. Groomers the next 2 with soft to firm conditions. To start off with the board is different than almost any other board out there in the Women’s category with maybe the exception of the Nidecker Princess. They are both made for the same style of riding and have a similar design and similar feel. However, for some reason, almost everyone that tried both of these boards preferred the Jones. On Snow Feel: This is very fast and aggressive and stable but not catchy. 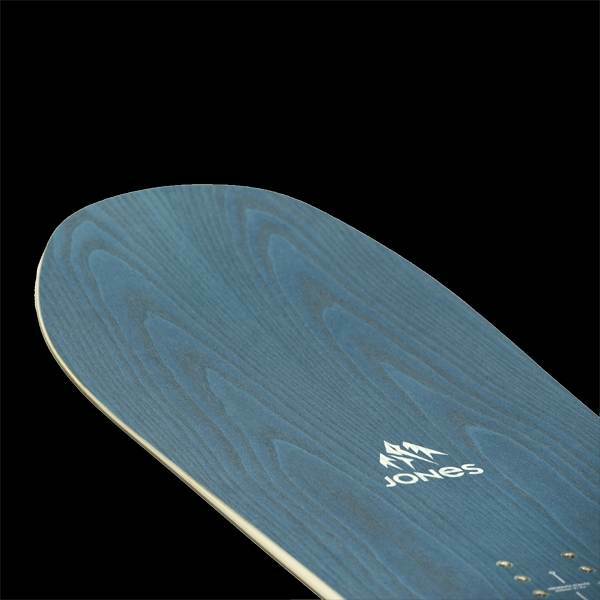 The jones isn’t as much as a carvy snowboard as it is a straight line everything you see kind of board. Still, it is very fun for a directional approach groomers and great for those that like to really push it. 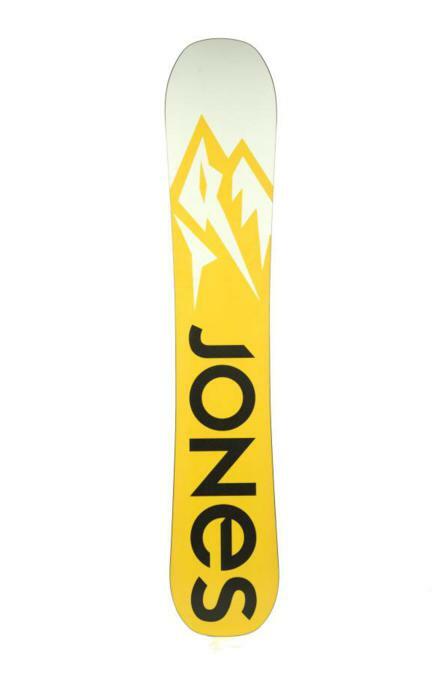 Powder: The Jones has a solid ride in powder and the steeper it is the better it performs. 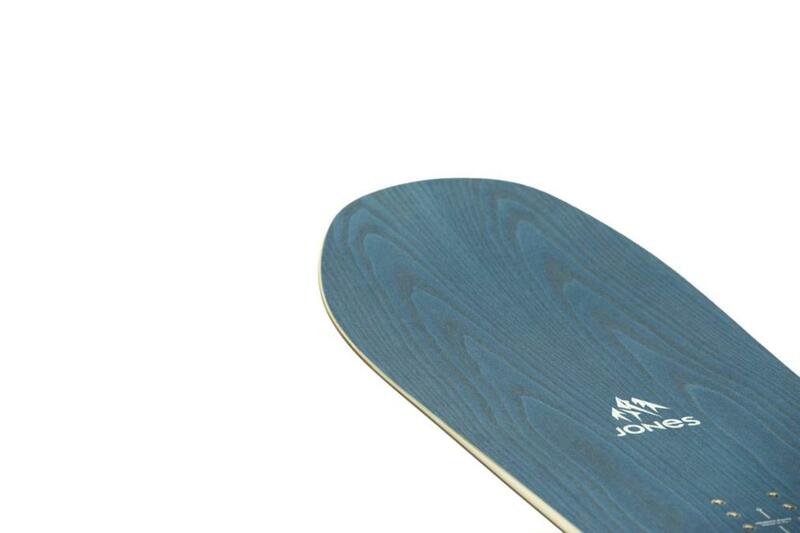 The bend in the nose after the binding and the small camber makes the Flagship ride bigger in powder than it’s size. I’m not saying size down but instead, it floats really well. It’s not as slashy as many powder boards but the float is very much the same. It won’t matter how deep it gets. There is a decent -20mm set back and a big nose with a lot of rocker going on there. There are better boards for surfing in the trees but this is one of the easiest aggressive big mountain boards out there for trees. In good powder it’s very easy edge to edge and has some surfy feel to it. The thing with the Mothership and most Jones boards is they just dominate heavy thick chundery powder like an icebreaker in the Antarctic. Turn Initiation– For a board of this stiffness and size, the turn initiation is surprisingly very good. It doesn’t have the edge to edge transitioning of the Lady Mtn Twin but it can turn in just about any tight spot. It is a little more work in the rutted mogul like crud you can find on the well tracked routes back to the chair but for a stiff heavy board it does a decent job. The Flagship is going to shine when it comes to morning groomers and powder runs but if you are looking for a mogul board look elsewhere. Speed: Even one of the steepest runs at our resort the Mothership felt so stable and damp it just said straight line this board anywhere. The base is pretty fast and the 2013 base is even faster. The board is completely chatter free like a race car. The design seems to truly match Jeremy’s riding style so much it can make you feel like you are a better rider when trying to mach down a steep run. There aren’t many people that have the ability to take this board to it’s limits but it still shines if you don’t. Uneven Snow– Some people feel that the Jones is chattery but that isn’t quite correct. It has problems at slower speeds in super chopped up groomers and hitting hard moguls. It will pass through that roughness to you. Here is the thing. 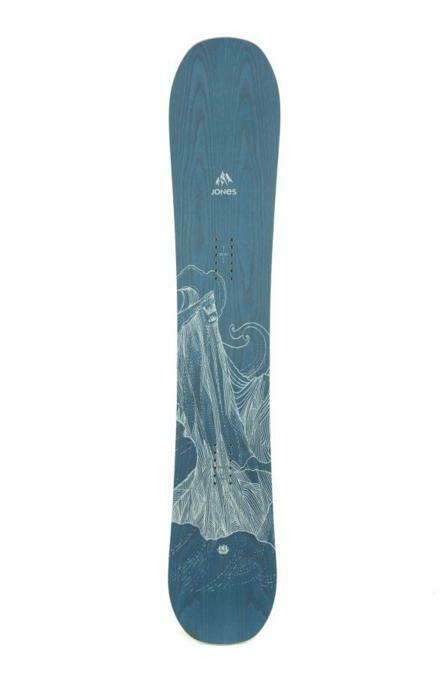 This board should not be ridden in those conditions. This is for perfect morning groomers and powder. If you are an all-day weekend rider who see’s chopped up groomers and poor conditions more than you see good conditions then don’t get this board. 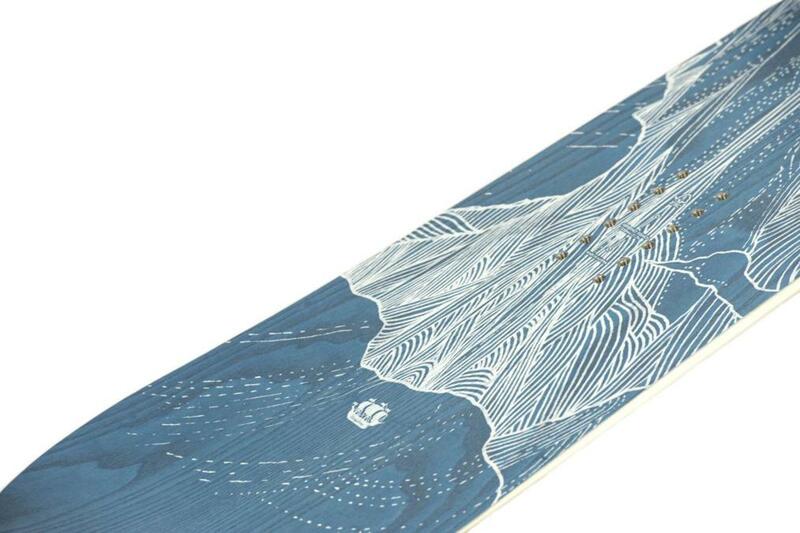 Approximate Weight– One of the heaviest boards we have recently come across. We’d really like to see the Flagship join the biggest loser. Edge Hold: This type of magnetraction makes for very solid edge hold with out changing the characteristics of the ride. In icy conditions and snowment the Flagship holds an edge very well. It’s border line excellent. If you ride ice a lot the Rossignol Diva will be better. Flex: Really stiff. It’s stiff like the freeride boards of old and this is pretty cool. It’s pretty hard to bend. Carving– Really fun to carve in almost any type of condition. However it’s more fun to just go as fast as you can go instead of lean out and carve. The edge hold also allows for you to carve in just about any condition as well. 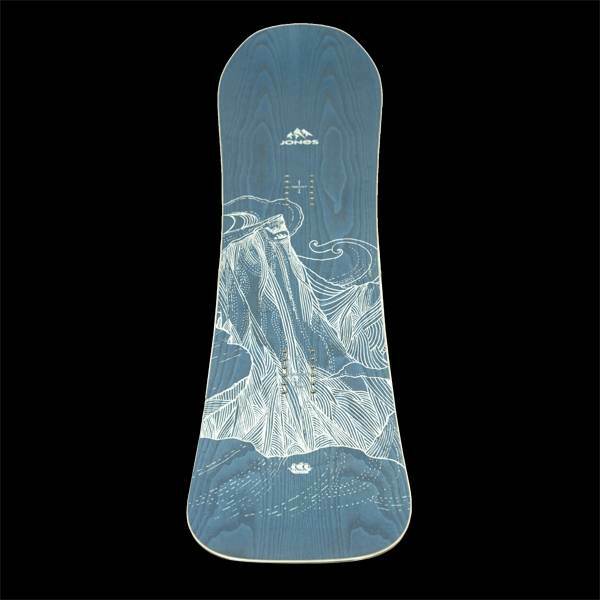 Switch: The Jones Mothership is not bad switch for a board of this shape with a little taper. You can comfortably mix it up and give your back leg a break here and there but it’s no twin. Jumps: Obviously this is great for natural hits but not really that good when it comes to the park. Pipe: The Flagship will climb a pipe wall well but it’s just not built for the pipe. It’s a little to big, directional and awkward. Jibbing– Not good to go here….wouldn’t do it. 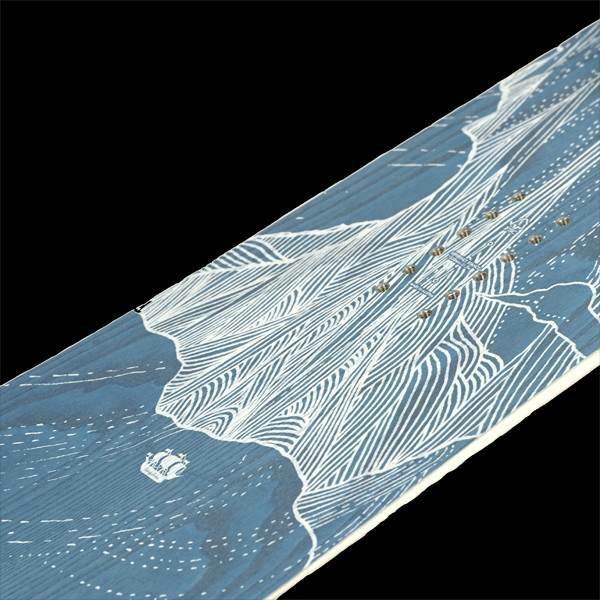 If you are an accomplished freerider that likes speed, big chutes, wide open runs and carving then this will be a very fun board. We try to get as many images of the Jones Women's Flagship, but forgive us if they're not all there.